We’ve all been there. The latest bit of technical clothing, using the most high tech materials and you just have to have it, no matter what the price tag. But beyond the sales pitch and a demonstration it doesn’t seem to live up to its promise. I’ve been there, I bought some leg warmers from a well known Italian brand (not that one, the other one) that use nanotechnology to create a hydrophobic coating; repelling water from the surface and stopping you getting wet; at least that’s the theory. Run them under the tap and it seems like a miracle, the water just beads up and runs right off. In practice however the way they will be used is nothing like the “under the tap” test. Stretched over my legs, and constantly bending at the knees as I pedal, the anti-rain armour soon shows its limitations. The knees are the first to notice the invasion of rain, as the constant stretching of the fibres allows the rain (that the knees are directly exposed to) to penetrate past the nanotechnology coating and into the fibres of the garment. Once there it soaks into the fleecy lining and gravity soon pulls it all the way down past the shins and into your shoes. Sure they are breathable, but waterproof? No way! The problem with these products is not the technology, but how it’s implemented. On the current crop of garments they are made as a leg warmer/arm warmer/tights from standard fabrics and the outside is simply coated with the water repellent coating. When the fabric is stretched or the rain too heavy the coating can be beaten very easily and you get wet – just as wet as you would have without the coating. Pearl Izumi think they have the answer with their new PI Dry fabrics. Instead of a protective coating, every fiber of the material is coated before the fabric is even woven. This means that there is no absorbent fleecy lining being exposed every time your knee/arm bends. There is a fleecy lining of course, only it’s not absorbent, it is just as water repellent as the outside of the garment. I saw a demonstration of the fabrics recently at Pearl Izumi’s offices on a recent visit. Once again it’s the “run under the tap test” but this time the product is inside out. Every tiny fluffy strand of fleece repels the water as it beads up and rolls onto the floor. Stretch it, move it, right way out, inside out it repels water. With nothing to soak up the water the theory is that it will not penetrate the fabric at all. Leaving the rider dry and the kit breathable. At the moment I can’t comment on the real world performance as I have not been able to test anything yet. Sounds good though doesn’t it? 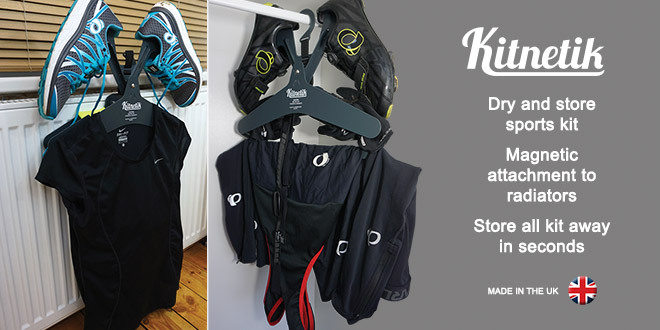 As breathable as normal cycling kit, and completely water repellent. The fabric technology will be exclusive to Pearl Izumi for three years, so if it’s as good as it sounds expect to be hearing a lot about it over the next 3 years. Pearl Izumi claim that after 100 washes the material retains 90% of its water repellent performance. They told me their testing actually gives better results and 90% is still better than the industry standard of 80%. In the interests of clear blogging practice I have not been paid for this post, and I have not been asked to write it. I am however one of the chosen PI champions who will be visiting events across the UK and promoting cycling in our distinctive Pearl Izumi kit (hence why I was at their offices recently getting a demonstration). As a cyclist who rides nearly every day in all weathers I am genuinely excited to test out something that claims to be fully breathable and entirely waterproof; as I’ve said it’s the holy grail of cycling kit. So if, like I was, you’re about to buy up some bargain winter kit in the sales ask yourself if it’s worth waiting until the PI Dry range is available in September 2017 when the leg warmers, arm warmers and tights will be available for the first season. I’ve sent my “bargain” winter tights back after seeing the demonstration. I’ll try and get some samples soon to see how they function in the wet UK weather, so subscribe via email (in the box at the top right of this page) or keep an eye on my blog for updates.